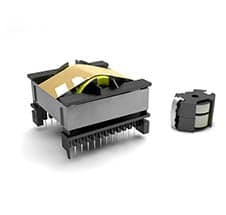 Custom Transformers are used in many applications: Isolation Protection, Step Up / Step Down Voltages, Current Sensing, Impedance Matching and Signal Isolation. These are just a few examples to say the very least. Allstar has the equipment and engineering support to produce a wide range of custom transformer products. Our wire winding capabilities gives us the ability to manufacture transformers from as small as miniature surface mount RF transformers to as large as High Power chassis mount transformers. 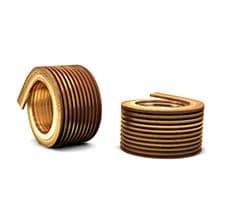 Custom Inductors, Filters and Chokes are used in many applications: Electromagnetic Interference filters (“EMI”), Surge Protection, Noise Cancellation, Harmonic Filtering, Signal Processing and many other frequency related applications. Allstar has the equipment and engineering support to produce a wide range of custom Inductors, Filters and Chokes products. Our wire winding capabilities gives us the ability to manufacture miniature surface mount Inductors to as large as multiple Toroid High Current Inductors. 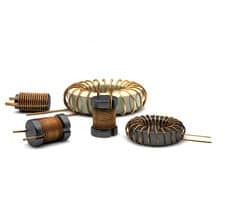 Custom Coils are used in many applications: EMI Filtering, Ionic Sensing, Telemetry Antennas, Field Generators and many other frequency related applications. Allstar has the equipment and engineering support to produce a wide range of custom Coils. Our wire winding capabilities gives us the ability to manufacture miniaturized coils to specialized form factor configurations.